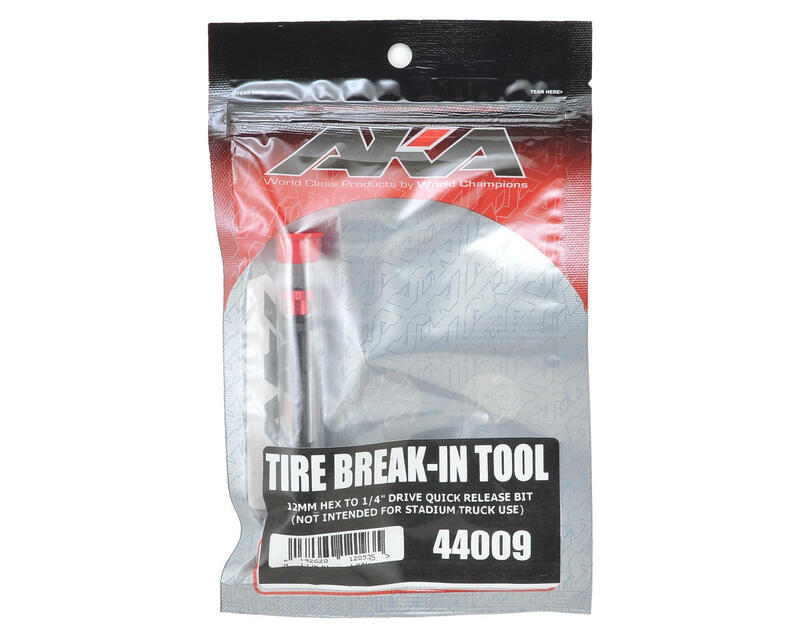 The AKA 1/10 Tire Break-In Tool is made in the USA and makes prepping your new tires a simple process. 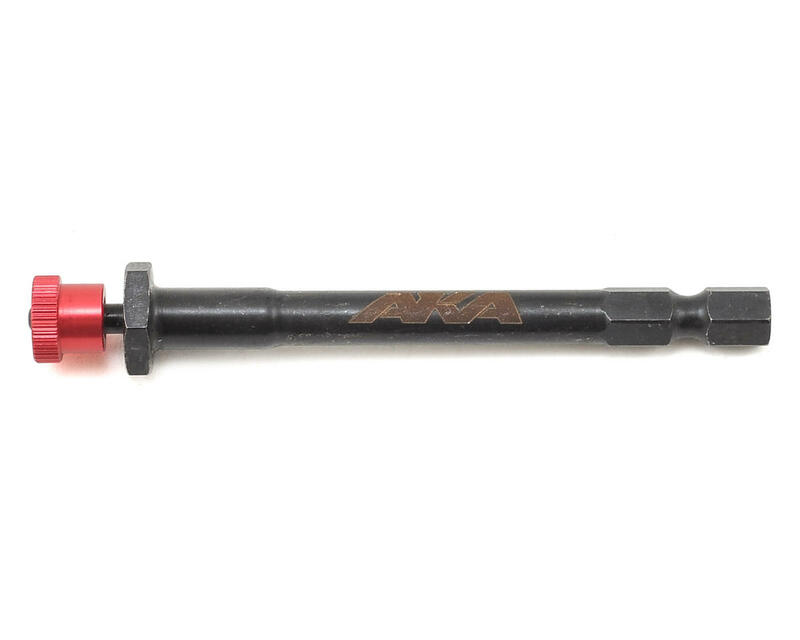 Designed to fit into any standard 1/4" quick change drill and 12mm hex 1/10 wheels, the tool simply chucks into your drill on one end, and mounts your tire on the other end. Then adjust the direction of your drill and use your choice of sandpaper to get that perfect tread height. No more running in the parking lot to burn down the tread on your tires. NOTE: Not intended for Stadium Truck use.